Smartphone Projector 2.0 comes with a soft matt laminate finish and silver foil accents and makes the perfect gift for any gadget lover. 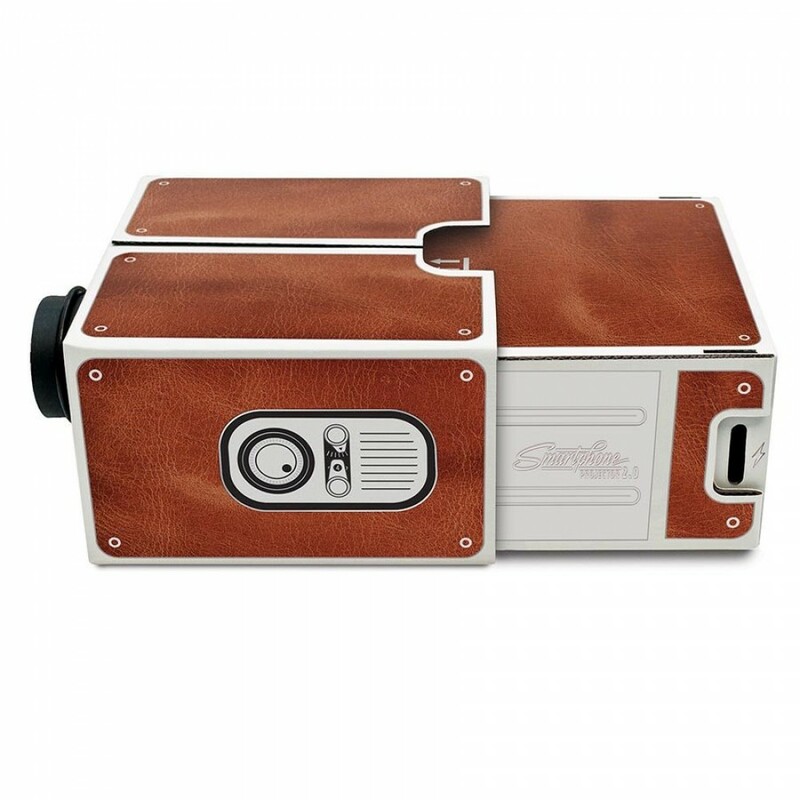 Designed with sophistication in mind, 2.0 has brown leather print detail, inspired by range finder cameras, leather hip flasks and Cuban cigar lounges. 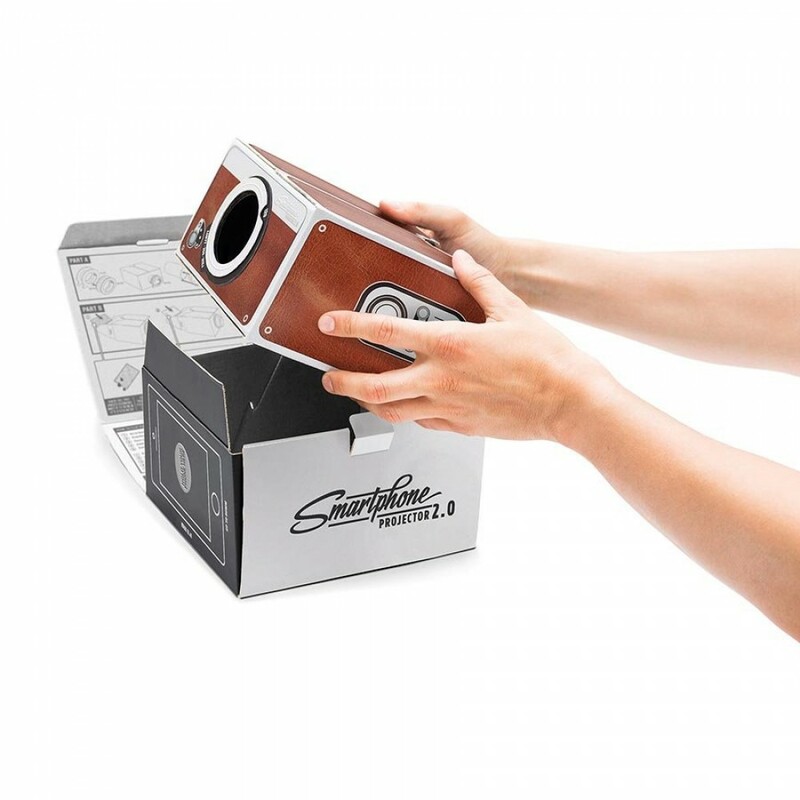 2.0 is wide enough to fit the iPhone 6 Plus, so imagine kicking back on a Chesterfield sofa with some whiskey and popping the Smartphone Projector on to enjoy some Super 8 inspired film or a Hollywood classic on your Smartphone. 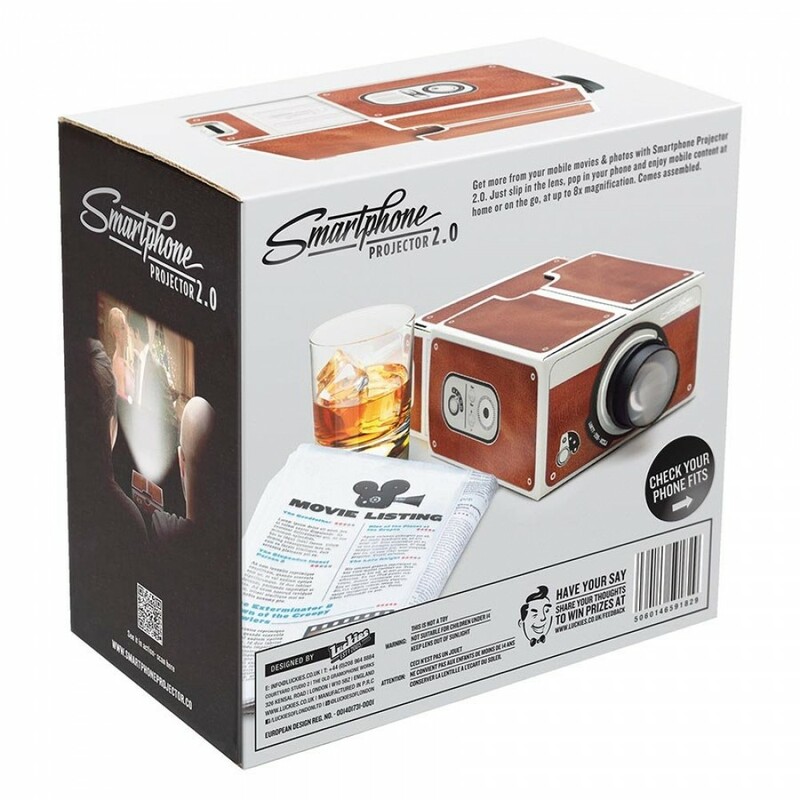 The perfect present for the gadget lover with a taste for the finer things in life, they can make the most of their HD smart phone screens but with a touch of classic luxury design. Show friends your holiday snaps enlarged on a wall, project music videos on to the inside of your tent at festivals, watch a film in bed or set up visuals for a house party; however you use it, it’s the most sophisticated way to turn your small screen in to the big screen. 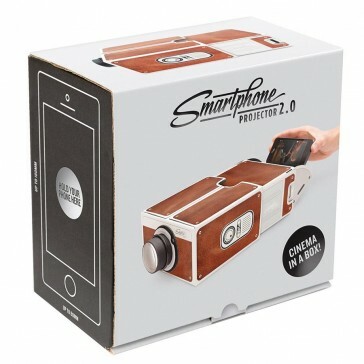 Made from cardboard, Smartphone Projector 2.0 is light, compact and totally portable. It comes ready made so can be used straight out of the box. 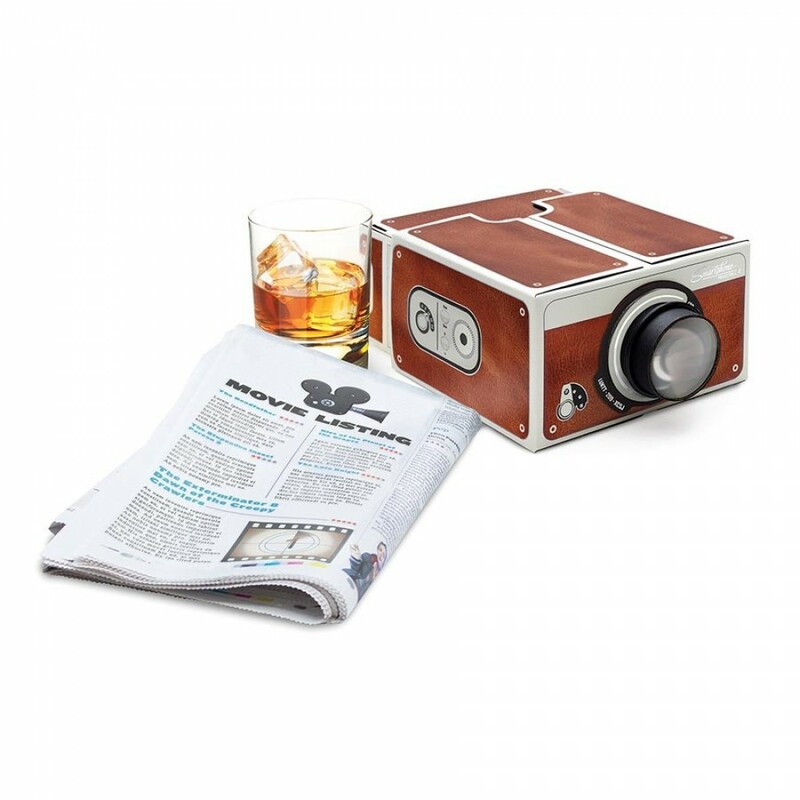 Inspired by the sweet spot where modern technology meets vintage aesthetics, the Luckies design team wanted to utilise the infinite possibility and popularity of modern technology that is in the palm of our hands, whilst making a gift that provides a little bit of escapism from the everyday grind. Suitable for use with iOS and Android compatible smart phones. Phone brightness must be turned up to 100% and for maximum effectiveness use in a dark room and project onto a smooth white surface.